Who doesn’t love a comedy chat show with an affable host of discussions about everything from self-service checkout machines to travelling around the world! 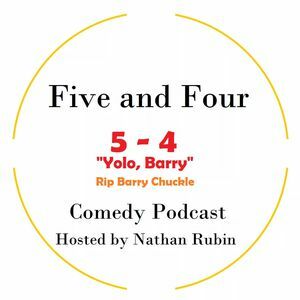 Five and Four is a weekly podcast hosted by Nathan Rubin, inviting guests to talk about all manner of things in a neat 30 minute segment. Xpress’s very own Social Media exec Sam Macgregor was on the latest episode, talking about his semester spent down under in Australia as well as a biting discussion on whether red or green pesto was better. It’s this witty, amicable kind of chat that makes Rubin’s podcast such an entertaining thing to listen to. He brings out the best in light conversation from his guests, with a constantly friendly nature and plenty of laughs on the way. Imagine a good ol’ chat with your best mate, with a few games thrown in for good measure at the end and a nice bit of ego-stroking Parkinson-style talking-about-your-life thrown in for good measure. Perhaps Five And Four’s best talent, however, is its down-to-earthness. Sure, interviewing celebrities and musicians is fun, but Rubin’s podcast is focused on the average student, and is aimed squarely at those kinds of listeners, capturing the kinds of things us students like talking about. And if you like what you hear, then rumour has it that Mr Rubin is always keen to find new guests to interview. 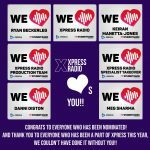 Get in contact with him on Facebook and you too could be appearing on Xpress’s flagship chatshow!